The causative agent of cold sore is a virus known as herpes simplex virus (HSV) which attacks the skin and the nervous system. HSV occurs in two strains HSV-1 and HSV-2 with the former causing cold sores and the latter leading to genital herpes. However, both these strains can cause mouth and genital sores. The sore can also appear upon transmission of HSV from an infected person to an uninfected person. When a sore breaks open, HSV is present in the fluid that comes out of that blister and a contact with it either through a direct touch or through the transfer of saliva of the infected person (sharing food, towels or kissing) passes HSV to the uninfected person. Moreover, HSV is also transmitted sexually. Medical treatment of cold sores depends on whether this is your first outbreak or a recurrent outbreak or you are attempting to avoid future outbreaks. It is recommended that you go for oral antiviral medications if treating the first symptoms of your sore as that may help alleviate pain and perk up the healing time. For treating the recurrent outbreaks of cold sores you may use topical creams or ointments (with or without recommendation) to help reduce ache, itching sensation and healing time. This reduces the severity and duration of your recurring sore. However for those of you who have a weak immune system and are at the risk of a cold sore disease, then you can use a higher or a daily dose of the above medications to control your symptoms. Such persons are also advised to take antibiotic drugs after prescription to treat the disorder. 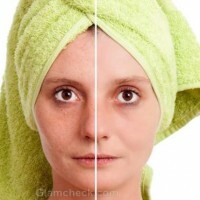 To reduce the redness and swelling on the affected area, it is recommended that you place a cool and wet towel three times a day for twenty minutes duration. If you are infected and are moving out in direct sunlight, then make sure that you don’t prolong your exposure to sunlight. Always wear a lip balm or a sunscreen on your lips and on those areas that are susceptible to cold sores. Rinse your mouth with baking soda water to relive a sore mouth. Tomato and citric foods have a tendency to further exasperate your pain, so avoid these foods when having a cold sore. Avoid close contact (for instance kissing) with persons infected with cold sores or genital herpes. Learn some stress management techniques as practicing them would ensure that you have fewer outbreaks of these cold sores. Also make sure that you get regular exercise and a lot of sleep. Might appear to be too basic but it is highly recommended that you drink lots of water everyday. Make sure that you wash the hands often especially after you touch your infected face. You can even use cold compressors or ice to relieve the pain temporarily. Repeat the procedure after every hour. Eat plenty of fruits and vegetables like broccoli, cabbage, cauliflower, brussel sprouts, garlic and onion, ginger, beans and vegetable oils that have an ability to boost your immune system as cold sore easily attacks persons having a weak defense mechanism. It is also recommended that you consume a good vitamin and mineral supplement daily. Directly apply lemon balm or extract to the cold sore area to reduce the symptoms associated with the disorder. Moreover, lemon extract has curative properties that are identified to help boost the healing course of a blistered skin. Salt can also ease and cure cold sores. Moist your index finger slightly and dip it common salt and then gently press this finger against the cold sore for about thirty seconds. This will help you treat the blisters more effectively. To attain faster respite, follow up with application of aloe vera or any other tropical oil directly over the affected region. If you wish to go for a herbal treatment then, take two parts each of echinacea and cleavers, one part each of pokeroot and oats and combine them. Take one teaspoon of this blend in a saucepan and add one cup of boiling water to it and allow the mixture to stand for fifteen minutes before straining out the herbs. Make sure that you drink one cup of this tea twice every day till you find that the cold sores are gone. There is no cure available for a cold sore but you can effectively treat it. The virus remains in your body even after the sore vanishes from your face. The above mentioned works best when followed, if you don’t follow these steps when undergoing a cold sore infection then the sore might take longer to heal. Adopting these measures makes sure that the duration of healing is minimized and your body is prepared to fight with a recurrent infection as and when it crops up. So stay informed and say healthy!